There is nothing quite as panic-inducing and stomach churning as when you are out running errands, and your baby needs a new diaper, and you don’t have the right supplies with you. Or perhaps, you use cloth diapers (a great idea! ), but don’t have enough room in your diaper bag for all the right supplies. Sound familiar? Well then, you probably should’ve made sure to get the best diaper bag for cloth diapers. With the right bag, you’ll never get caught without wipes or flat-footed ever again! But what makes one bag better than the rest? There’s actually a lot to consider, and I’m going to guide you through it. In this article, I’ll go through the benefits of using cloth diapers, give you everything you need to know about diaper bags and give you an in-depth look at some of the best bags you can buy. Sound good? Alright then! Let’s get to it! (*) Below, you'll find my detailed reviews, but you can also click the links above to see prices and read customer reviews on Amazon. Reuse – Since you will not be throwing these diapers away, you get to reuse them over and over and over and over and over again. Not only with this save you can get a ton of money, but you also say goodbye to all of those extra trips to the store to pick up diapers. Cost-Effectiveness – Don't get scared away by their initial price tag! While they may seem expensive to start, cloth diapers literally will pay for themselves over time. As I said, since you can just reuse them, you won’t ever need to buy diapers again! A one-time investment will save thousands of dollars. Not to mention the fact that once you finish with them, you can sell them to someone else for most of their original cost. Better for the Environment – Just think of how many diapers you will be keeping out of a landfill by using cloth diapers. Instead of having a literal ton of garbage weighing on your conscience, you can sleep easy knowing that you made a difference for the environment. Ok, so you’ve decided to go with cloth diapers. Good for you! Believe me; you won’t regret your decision. However, now we need to figure out exactly what you need to look for in a diaper bag so that you’ll be able to tote those diapers when you depart from your home. Bag Size – Cloth diapers, as a rule, are much bigger than disposable diapers. Now, this is obviously adorable on a baby, since it gives them an extra fluffly tush! But, this extra fluff, which is there for absorbency, can make it difficult to fit a lot of diapers in a bag. That is why you should make sure to get the biggest bag you can find and carry comfortably. The last thing you want is to skimp on size and then need more diapers than you can carry. Also, unlike with disposable diapers, you’ll never be able to free up space in your bag with diaper changes, since even the dirty diapers stay with you. Durability – Unless you intend to be a homebody, you are going to be lugging this bag around for a lot of miles. You certainly don’t want something that is going to break down after a little bit of use, so be sure to look for one that is built to last. This is especially true for the zippers. If you get anything other than a high-quality bag, the zippers are going to be the first thing to break down. Look for bags with oversized zippers, since these will last a lot longer than itty-bitty, dainty ones. Washable – The two most common bag materials, nylon, and polyester, are great choices for a cloth diaper bag since they are easy to clean. You want to be sure that the bag can handle being washed, since, as I said earlier, you’ll be toting around dirty diapers with you all day long in some cases. If the bag that you purchase can’t be cleaned up easily, you’ll soon have a big problem on your hands. Or on your nose, I suppose, as a dirty bag can get stinky before you know it, and who wants to deal with that? Wet/Dry Bag – Cloth diapers are wonderful, but they aren’t perfect. For instance, they will leak if they are saturated with enough pee/poop, and you don’t want that on the inside of your diaper bag. However, if the bag you purchase comes with a good wet/dry bag, you won’t have to deal with these extra messes. A wet/dry bag is a waterproof bag that has a zip top. They are designed to keep messes under control, and if your bag doesn’t come with one, don’t hesitate to buy it separately. 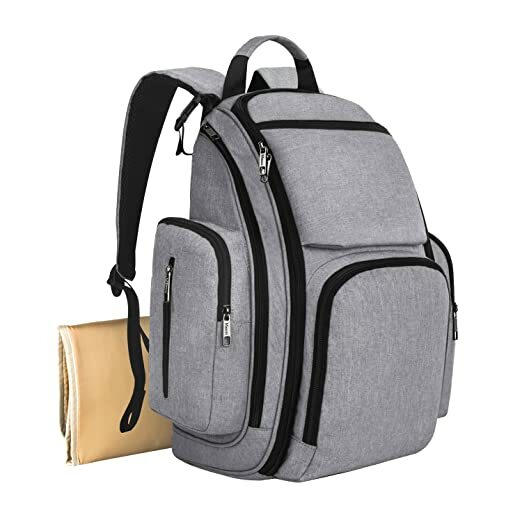 Number of Pockets – You need plenty of pockets in your bag because, while it is called a diaper bag, it also has to carry wipes, toys, your keys, your wallet, your phone, snacks, tissues, changing pad, extra clothes, more toys, more snacks…you get the picture. The more pockets you have, the more organized you can be, which will make diaper changes that much quicker. 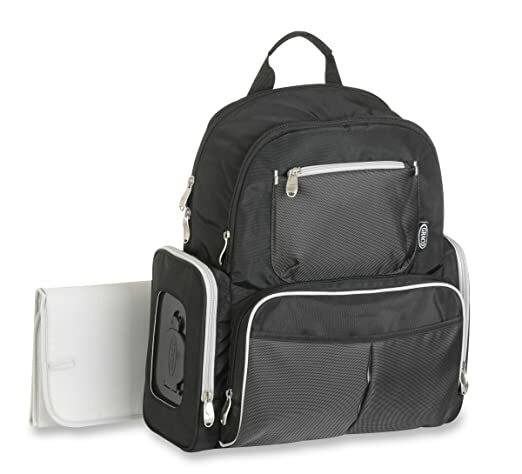 Bag Type – Depending on your style preference, you can choose either a backpack or a messenger bag style diaper bag. Personally, I prefer backpacks because they are easier to carry and are usually larger. However, messenger bags are a bit more stylish, making them easier to coordinate with your wardrobe. The Good: Though I usually prefer backpack style bags, this messenger bag from Skip Hop just might be the best diaper bag for cloth diapers on the market today! It has tons of storage space and loads of different pockets to help you quickly and easily organize all of your diaper changing gear. This bag also comes with a super squishy changing pad, as well as two (!) removable storage bags. One of these bags is insulated, which makes it a perfect storage solution for drinks. The Bad: While the zippers on this bag are nice and big, they are tough to open one handed. You’ll probably need two hands to open most of the compartments, which could be a tough task with a tiny tot that’s having a tantrum while you try to change their diaper. The Long and Short of It: This messenger style bag, which you can view here, is enormous, with plenty of storage space to go around. Some of the inside pockets might be hard to open one-handed, however, so be sure to store the essentials in one of the easier to access outside pockets. The Good: This bag from Ju-Ju-Be is called “The Be Prepared” bag, and for a good reason. 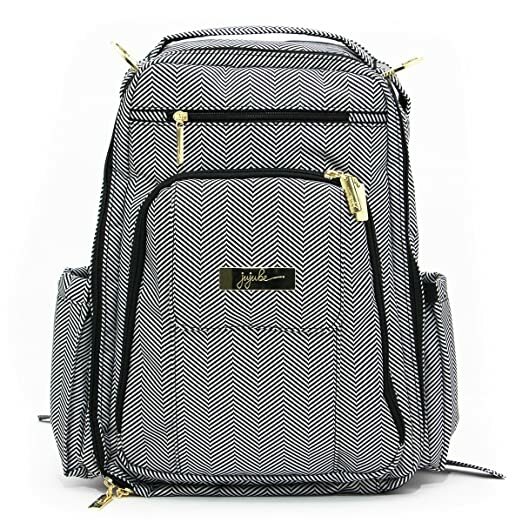 If you choose this bag for your cloth diaper bag, you can rest easy knowing that you’ll be able to fit everything that you need inside the bag with ease. Not only is the bag spacious, but it is super easy to clean too! You don’t need to worry about spot scrubbing this baby, oh no! All you need to do is empty it out, and throw it in the washing machine. This will keep any gross stuff that might’ve leaked out of the used cloth diapers from festering and turning into mold or mildew. The Bad: This bag, which you can view here, might honestly have a bit too much room. With all of the space that you are going to find, you might be tempted to load this bag up to the breaking point. Please, don’t do that! If you do, you’ll end up with a backache, and who has time for that when you have little kids? 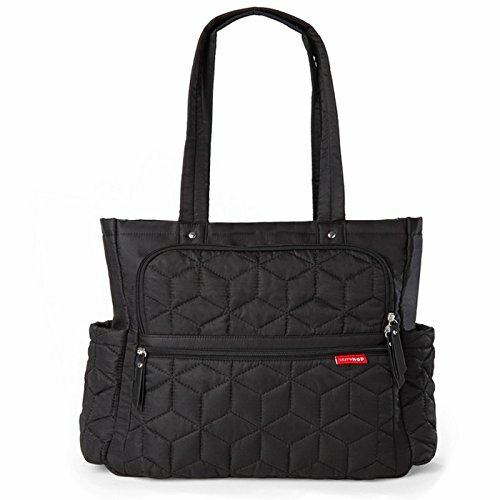 The Long and Short of It: This is a great messenger style diaper bag, which has tons of room and is easy to clean. Just make sure you don’t try to take too big of an advantage over its size, or you’ll end up overloading it. The Good: I do so love a high-quality backpack diaper bag! This one from Graco, which you can see here, is super comfortable to wear, even when it is packed to the gills. The straps are soft and squishy, as is the back panel. On the inside of the bag, you’ll find plenty of storage space and different pouches for organization. There is plenty of space to go around for cloth diapers, making this a great choice. The Bad: The only thing that is keeping this from being my number one pick are the zippers and top strap. They are unfortunately on the smaller side, and they probably won’t last too long, especially if you use it hard. The Long and Short of It: This is a large diaper bag that is really easy to organize and could easily accommodate several cloth diapers. You would just need to be careful with the zippers and top strap, however, as they are somewhat undersized. The Good: While it might not boast as much storage space as some other bags on this list, this bag from Mancro is extremely well-designed. The zipper sand pouches operate smoothly, even with only one hand. The different compartments are also in easy to reach the area and are well proportioned for to fit an essential baby gear. The Bad: As I said above, this bag is on the smaller side as far as backpack diaper bags go. If you want to utilize this bag with cloth diapers, you’ll have to be happy with only fitting a two or three inside, instead of a whole fleet of them at once. The Long and Short of It: This bag from Mancro, which you can view here, is really well-designed, but might lack some of the space you’ll need to carry a bunch of cloth diapers along with you while you run your errands. The Good: This Ju-Ju-Be backpack diaper bag is very nice. It is super simple to clean, as all you have to do is throw it in the washing machine. It is also treated with on the outside and inside to inhibit the growth of mold, mildew, and bacteria. I also really like the hardware on this bag. The zippers and the zipper pulls are built to last and operate with ease. The Bad: While the straps are quick and easy to adjust on this bag, they didn’t always stay where I placed them, especially when I had the bag fully loaded. They seemed to slip and slide on my shoulders as I walked, which could be a bit of a problem. The Long and Short of It: This bag, which you can view here, has been treated to keep away stains and smells. It is also easy to organize and operate. The only problem I had with it was the straps, as they seemed to loosen up when the bag was being carried. 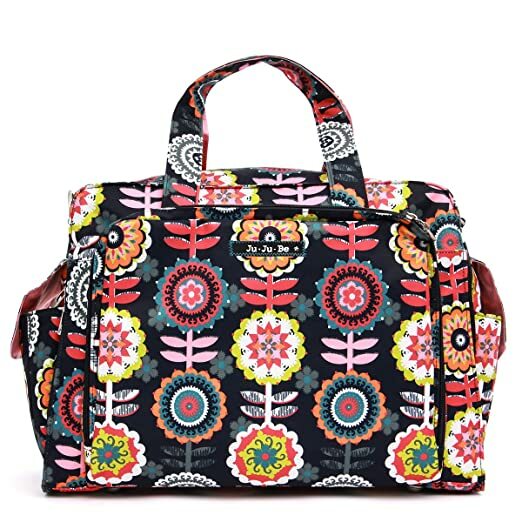 After lots of research, testing, and consideration, I have concluded that the Skip Hop Forma Travel Carry All Diaper Bag Tote with Insulated Bag is the best diaper bag for cloth diapers on the market right now. It’s super easy to use and will give you all the storage space your cloth diapers require, and I highly recommend that you check it out! Thank you so much for taking the time to read this blog, and I hope it was interesting and informative. If you have any questions, comments, or suggestions, please let me know in the comments section below. Have a great day!